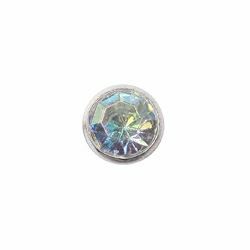 These synthetic, jewelry quality, crystal rivets are popular in ~ western fashion for decorating leather belts, buckles, garments, handbags ~ and more. Can be used on up to 8-9 oz. leather. To set, use the Decorative ~ Rivet Kit #579100.